There are geographic variations in fetal outcomes of adolescent pregnancies because of socio-economic differences between regions and countries. The aim of our study was to determine adverse fetal outcomes associated with adolescent pregnancies in Cameroon. 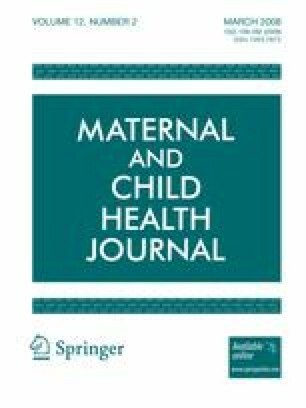 A cross-sectional study to compare the outcomes of 268 singleton, adolescent pregnancies with 832 controls, delivered in four referral hospitals in Yaounde (Cameroon), between November 2004 and April 2005. The adverse fetal outcomes related to adolescent pregnancies were low birth weight (<2,500 g) (odds ratios [OR], 1.71; confidence interval [CI], 1.15–2.50), premature babies (<37 weeks) (OR, 1.77; CI, 1.24–2.52) and early neonatal death (OR, 2.18; CI, 1.04–4.48). The rates of stillbirth and intrauterine growth retardation were not significantly higher among adolescents. Adverse maternal outcome associated with adolescent pregnancies were eclampsia (OR, 3.18; CI, 1.21–8.32), preeclampsia (OR, 1.99; CI, 1.24–3.15), perineal tear (OR, 1.45; CI, 1.06–1.99) and episiotomy (OR, 1.82; CI, 1.20–2.73). Caesarean delivery, instrumental delivery and premature rupture of membranes were not significantly associated with adolescent pregnancy. Maternal factors associated with adverse fetal outcome in adolescents were maternal age, number of prenatal visits <4, and the state of being unemployed. Adolescent pregnancies are associated with both adverse fetal and maternal outcomes in Cameroon. Improving compliance with prenatal care could significantly reduce the frequency of adverse fetal outcomes in adolescent populations in Cameroon. We wish to thank the entire staff of the Obstetrics and Gynecology Departments of the four teaching hospitals in Yaounde for the collaboration given us during the data collection phase of the study. Competing interests: The authors declare that they have no competing interests.